Jeremy Brown of Geist Interactive shares some custom functions to work with JSON data and walks us through a use case. Example files with the custom functions and with a charting demo are provided. 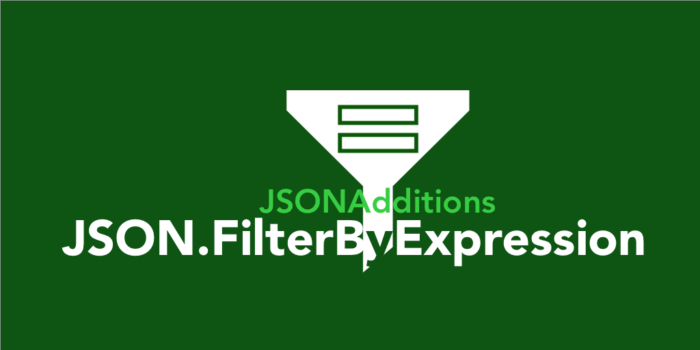 The JSONAdditions file is also a great example of how to test your custom functions. The FileMaker JSON functions we have in FileMaker 16 have changed the development game for many folks. … Since JSON’s purpose is to exchange data, it seems these functions are good enough. We at Geist Interactive have combined these with other FileMaker functions to produce some custom functions (in JSONAdditions.fmp12) that are useful in many circumstances.